Have you always wanted to have a home with a large entertainment area, game room, or perhaps a dance studio? If yes, then a custom home might just be what you need to fulfill that dream. Purchasing a home is an essential part of the American Dream and it is one of the biggest investments you will make in your life. But the whole experience is made much exceptional if you can a build a house that meets your specification. 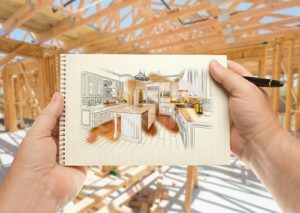 However, before you start making decisions about your dream home, the first thing you have to do is learn everything about how a custom home building works. Constructing a custom home does not have to be costlier than purchasing an existing or newly built house. With the help of Dawol Homes, you can build a modest custom home, however, getting all the construction materials individually instead of in bulk can increase the price dramatically compared to production houses. The crucial thing you need to remember is that the decisions you make regarding the land you wish to purchase, the quality as well as the design will all make an impact on the total price. You need a construction loan when it comes to financing a custom home and this type of loan is offered only by a few lenders. If you don’t own a land yet, you need to should the cost of buying the land and the construction of the house. In most cases, you are going to have two closings, and each of these will bring upon settlement fees. 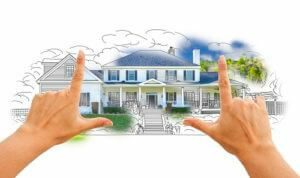 There are many misconceptions when it comes to the cost of custom homes. Many people believe that having one built will cost them a fortune. The truth is, constructing your dream custom home does not need to be a budget killer. There are three kinds of home builders. The quality of work, prices, and customizability depend on these three groups. You need to know the differences in home builders and you will understand why custom homes do not necessarily mean they cost more. There are several different national production builders. If there is one thing that you need to know about this type of builder is that they are not in the home business. They are actually operating in the land business. They purchase land from farmers and other low cost opportunities and once they made the purchase, they will proceed to developing the land. They depend on the economies of scale to significantly reduce the cost per lot. Basically, they adhere to a very similar blueprint for each home (in terms of labor and materials) so the whole operation can be performed as cheaply and efficiently as possible. The houses are built in bulk and they prefer residential locations that are attractive to home buyers. Having a custom home built is a dream come true for many. However, if it lacks proper planning and research, it can easily become any homeowner’s worst nightmare. With nearly limitless options to choose from, it is very easy to see your budget get out of hand. Dawol Homes have helped several clients in building their dream custom home and in creating a strategic budgeting plan to make sure they are prepared throughout the construction process. Provided below are a few key guidelines that can help make sure that you do not wind up in over your head. 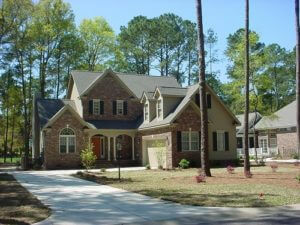 Having a custom home constructed is a significant financial and emotional investment. Therefore, it is important to choose a custom home builder that you can trust. Do not just agree to work with the first charming person that you come across with. Choose an honest and transparent builder because he can help you save money. In case you cannot start candid conversations from the beginning about the markups, budget, or subcontractors then you may just have to continue looking for a better fit. The more detailed the budget and the plan, the easier it will be for you and your custom home builder to prevent any unexpected expenses. Set an allowance for fixtures. Choose where to purchase the materials and determine the expenses that are not included in the scope of the contract. These are crucial points to talk about because they can significantly change the bottom line for the construction of your home. Having your dream home built is an exciting experience but your enthusiasm can be tempered easily with the unfamiliarity and intricacy of mortgage loans for a new home construction. Understand the fundamentals of home construction loans and be prepared when the time comes that you have to decide if you want to build your custom home. 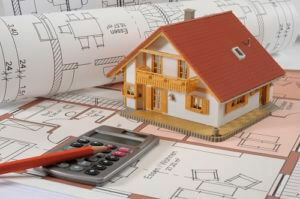 Construction-To-Permanent – You borrow cash to cover the construction costs. Once you move in, the lender will change the loan balance into a permanent mortgage, making it two loans in one. Stand-Alone-Construction – the first loan you will get is going to be for the construction costs. Once you move in, you will obtain a mortgage to pay for your construction debt. Unlike the first type, this is two different loans. You will have lesser fees to pay because you just have a single closing with a construction-to-permanent loan. In the construction period, you will only focus on the outstanding balance. The interest rate is changing during the construction phase, which means it could move up or down based on the prime rate. In case the Federal Reserve decreases or increases short term interest rates while your house is being constructed, you can expect your interest rate to change. Building a custom home that has the amenities you need is quite different from purchasing a pre-owned home from a real estate building especially when we are talking about property taxes. Without the exact figure based on the historical amount, how will you know how much you need roll into your mortgage or save? This has kept a lot of families wondering about the ongoing costs of homeownership especially when it comes to buying a newly built home. As confusing as it may seem at first, it actually just requires a little untangling. 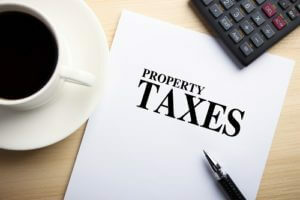 With a little research and legwork, you can have an answer that will relieve you of your stress that is related to your new home’s property taxes. It does not matter where you construct your house, you will always be required to pay property taxes. If you are new to homeownership, you might not even realize that property taxes differ from one municipality to another. Generally, property taxes are evaluated by the local government, but also have federal and state consideration. The first kind of tax that goes into calculating any property tax is the millage for your specific jurisdiction. The millage is a property tax that is due for every $1,000 in property assessment; it’s actually presented in the form of a percentage. For example, when your property is evaluated at $200,000, and the mill levy or millage rate is 1%, you need to multiply the $200,000 by 0.1 to obtain $2,000, which is the amount you have to pay for your millage tax. A lot of people have dreamed about building their dream custom home. However, without proper research and planning, it can easily become their worst nightmare. With the countless options readily available these days, anybody can spiral out of control without any difficulty. 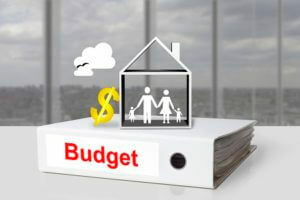 Dawol Homes have helped several clients in creating a strategic plan when it comes to budgeting for their dream home. They know first hand how important it is to always be prepared. To help you achieve your very own dream home, provided below are some of the most important guidelines that can help in ensuring that you don’t end in over your head. Custom home building can be expensive and stressful, and that is why it is important that you choose a team that you can really trust. Do not simply sign a contract with the first charming builder that you come across with. Going for an honest and transparent builder can save you money. In case you cannot have candid discussion from the very beginning about the markups, budget, or subcontractors, you should consider working with a different custom home builder. At first it might seem as if building a custom home is out of reach for many individuals. A lot of people think that custom homes are too costly for them, and because of that, they go for a home remodeling project instead. But do not give up too easily on getting your dream home. With hard work and right planning, you can build your dream home even if you are on a budget. There are several ways to cut costs when building a brand new home. For example, you could shop around for lenders and custom home builders. If you are handy, you have the option to perform some of the task yourself. You may likewise search for builders who managed to streamline their building procedures. Dawol Homes offers you efficiency and flexibility in the building process with the help of our in-house design team. You will find several tips here to assist you in saving money while you are constructing your dream home. We have included questions that you need to ask yourself as well as your builder at every stage of the building process. 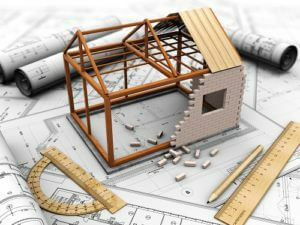 Read on to learn more cost saving tips for constructing your dream house. Should You Build, Buy, Or Rent Your First Home? If you are thinking of buying your first home, there are several things you must consider. You have to decide whether to purchase or continue renting for now. If you believe that becoming a first time home buyer is what you want, you have to determine whether you need to purchase an existing one or build a Myrtle Beach custom home from the ground up. Take a look out the pros and cons of every option before you make a decision. There are some individuals who benefit from a home rental. This might describe you in case, for instance, you need flexibility or maybe you have to move from one location to another because of your job. This holds true if you love to travel and live in different cities every few years. There are several reasons why people prefer to rent. If you do not have extra credit or cash, making a down payment on a home can be hard. Knowing for a fact that your landlord will take care of any broken appliances or repair a leaky roof is enough to rent rather than own.